Categories: Novelty, Blue, Baby, The Chocolate Girl. 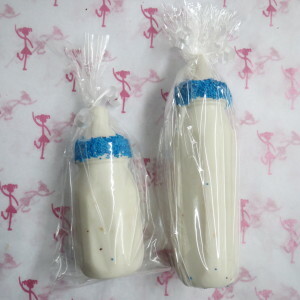 Tags: baby bottle, baby boy, baby center pieces, bris, chocolate baby bottle, katz. 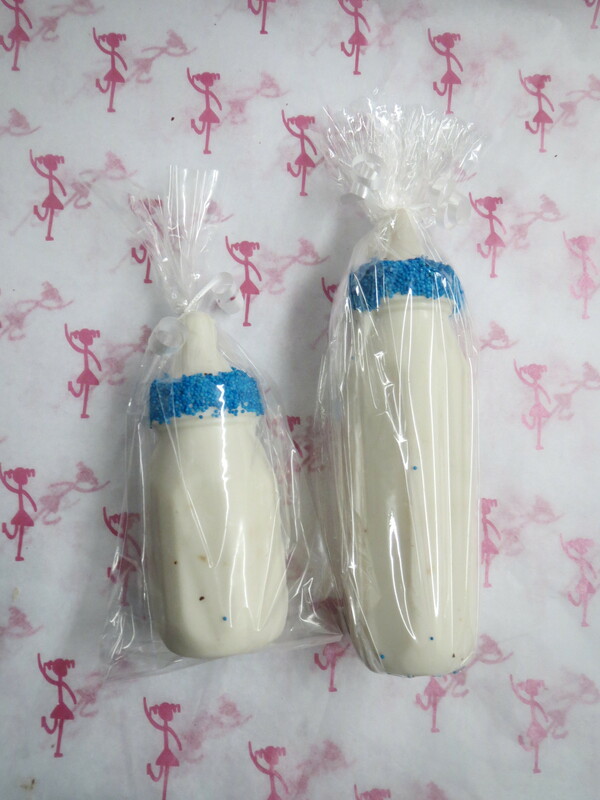 This solid White chocolate baby bottle is accented with Blue Non Pareils. Popular uses: center piece, balloon weight, baby gift, baby shower party favor, Bris, Shalom Zachor.